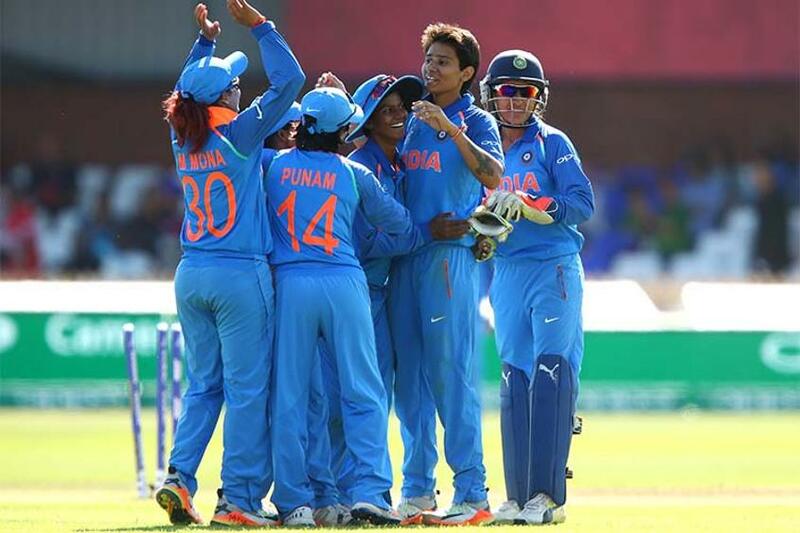 The Indian seam-bowling pair of Jhulan Goswami and Shikha Pandey did not bowl at the levels expected of them in the two wins against England and Windies in the ICC Women’s World Cup 2017. Against England in Derby, they finished with combined figures of 14-1-74-2, with Pandey going for four boundaries in the 40th over – the last of the batting Power Play. Against Windies in Taunton, the corresponding figures read 9-0-50-0. It is, however, important to establish that Pandey provided the two early breakthroughs against England, though the wickets came against the run of play. Against Windies, she had figures of 2.4-0-5-0 before ending her third over with two boundaries. And then she was dropped in favour of Mansi Joshi for the game against Pakistan in Derby on Sunday. Joshi generated good pace, and picked up two wickets in her first World Cup game as India won by 95 runs. Pandey’s credentials coming into the World Cup were noteworthy. She was India’s second-highest wicket-taker in the ICC Women’s Championship with 17 scalps from 14 games, she led India’s pace attack in the absence of Goswami in the qualifiers in Colombo earlier this year, which India won. She was also the second-highest wicket-taker in the Quadrangular Series in South Africa, which also India won. Pandey was not rested to try Joshi out against Pakistan. Mithali Raj, the Indian captain, made it clear that Pandey had been dropped for not doing justice to her status as a strike bowler against England and Windies. “Both Jhulan and Shikha bowled on both sides of the wicket in the previous games,” said Raj. “Maybe Pakistan as a team had not prepared really for Mansi because she just walked into the team in the qualifiers. I thought we needed to give her a chance when she is bowling really well in the nets. She has improved to what she was in the qualifiers. That should mean Joshi would get the nod ahead of Pandey for the next game against Sri Lanka at the same venue on July 5. Maybe a bit harsh on Pandey, but the team management obviously has its plans. Pandey’s absence, though, was felt during India’s batting innings against Pakistan. A useful lower-order batter, she is known for providing quick runs. On the day, India was at 111 for 6 before a 34-run stand for the seventh wicket between Sushma Verma and Goswami. After Goswami fell, Verma added 14 valuable runs with Joshi, who ensured that India played out its full quota of overs with an unbeaten four off eight balls. With India defending a smallish total, Raj opened the bowling with Ekta Bisht – not a new ploy, but there were effectively no options in Pandey’s absence. The decisions came off, as Bisht returned figures of 5 for 18 and Pakistan was dismissed for 74. As for Pandey, the earlier she regains the trust of the management, the better it would be for India, especially during the business end of the tournament.